Happy Holidays! Christmas is around the corner and many of us simply need gift ideas. Whether you are buying gifts fir your fashionista girlfriend, beauty obsessed daughter or simply someone who has been good to you this year we have few of our favorites. From luxury to simplicity, from shallow to deeper pockets we picked something for everyone’s needs. Look at 10 of our favorites! 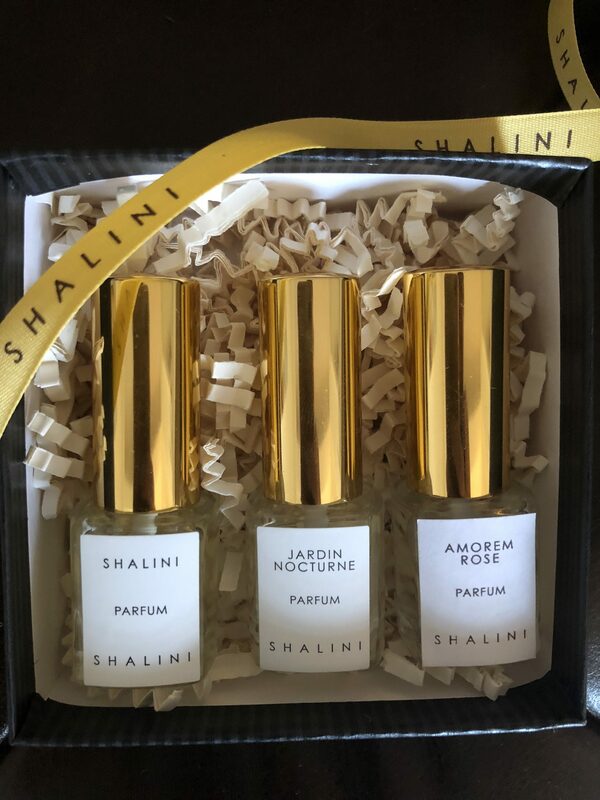 Shalini Parfum is a niche luxury parfum house based in New York city that creates the most beautiful, opulent pure parfums composed of the highest quality of naturals. Her parfums are listed amongst the top ten most luxurious fragrances in the world and are Made in France. Each bottle is hand poured and is presented in a beautiful handmade Black box with the signature Shalini yellow ribbon. Shalini Parfum introduced “Flight” which is a discovery set for her three opulent parfums this holiday season. “Flight” of three parfums makes an ideal gift for yourself or for someone you love. It is a wonderful way to discover her fragrances.